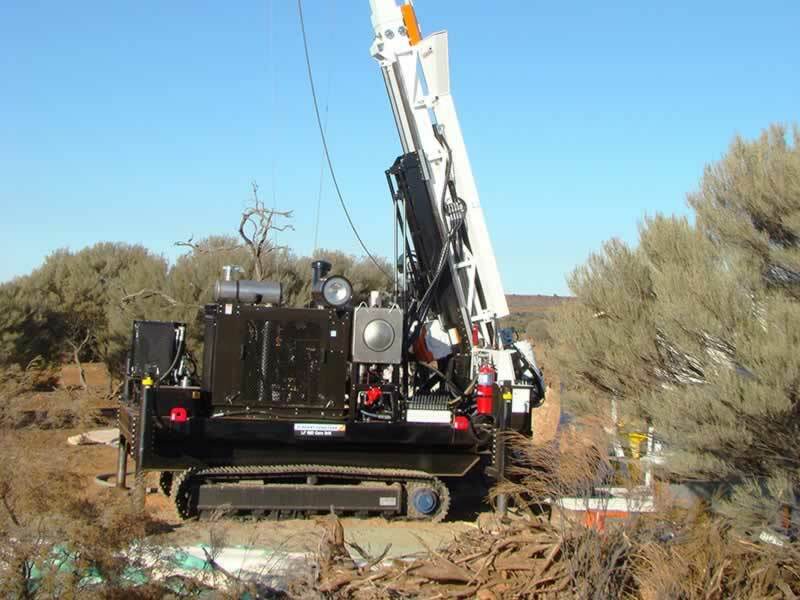 The set-up of these rigs has a very small footprint - their static footprint is just 2.5m x 3.5m (compared to 3m x 10m for the typical truck-mounted option). 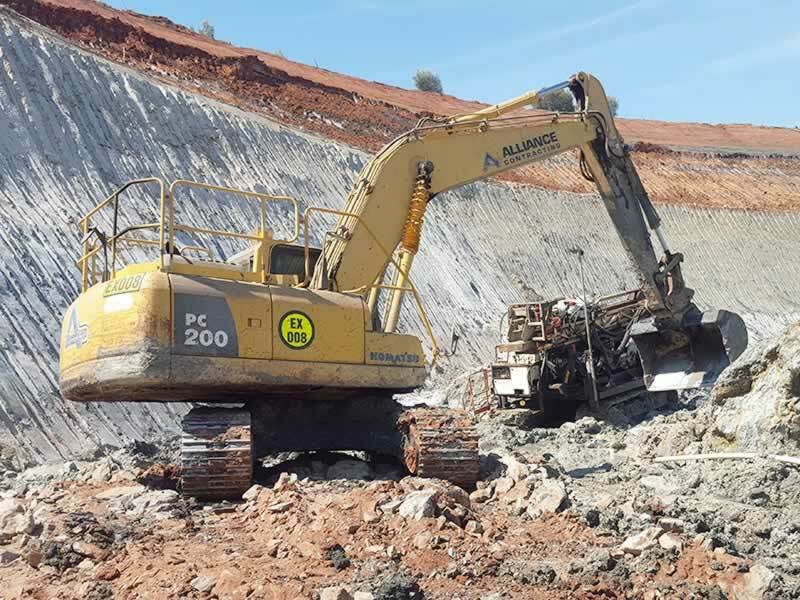 The track systems allow for manoeuvring across the most extreme ground conditions without issue, giving it the ability to drill in areas of limited access. 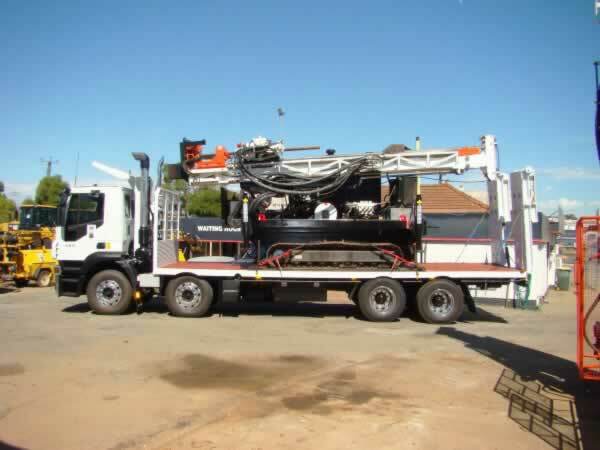 These rigs provide the ultimate solution for drilling in areas where minimising disturbance is a major priority, yet substantial penetration is required. 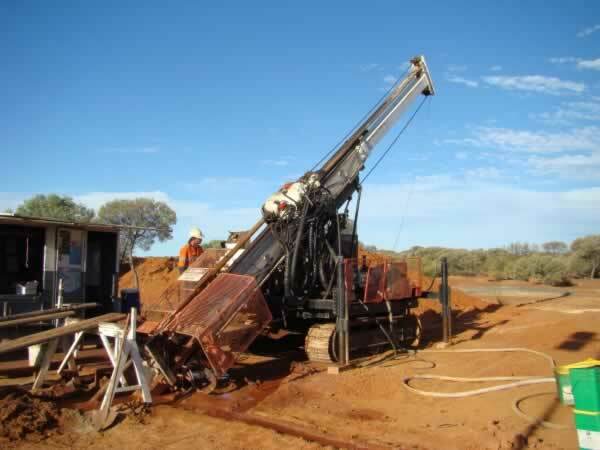 The rigs can be set up flexibly to minimise pad size and therefore environmental disturbance. 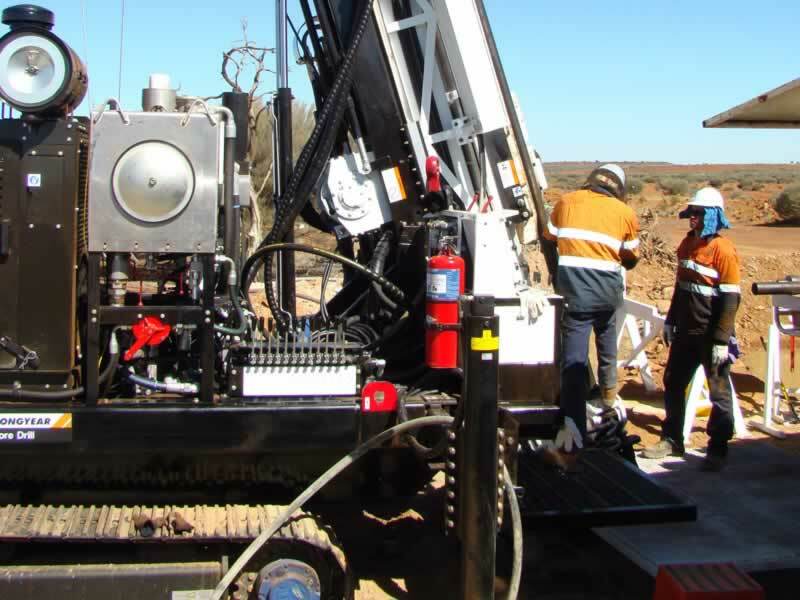 The rigs have such advantages as safe-t-spin rod breakers, reducing both risk and impact for drilling crew during rod handling. Crews utilise the rigs' remote control while tramming as this gives them a clear view all the way around. It can be operated from outside the “Safety Zone” and reduces risk of personal danger. All four rigs have been modified to allow drilling at angles of -30° , i.e. 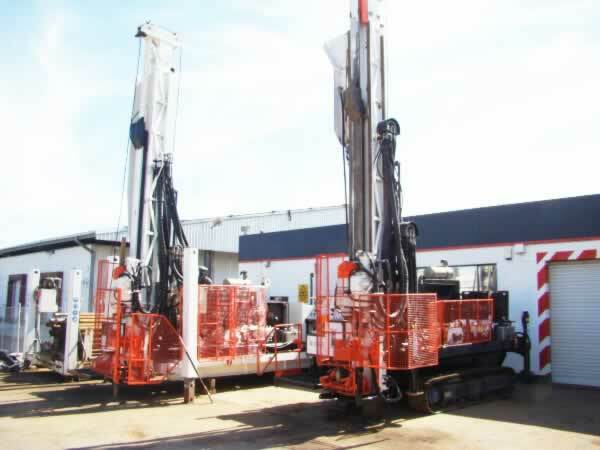 20° less than the specifications for conventional surface diamond drill rigs. 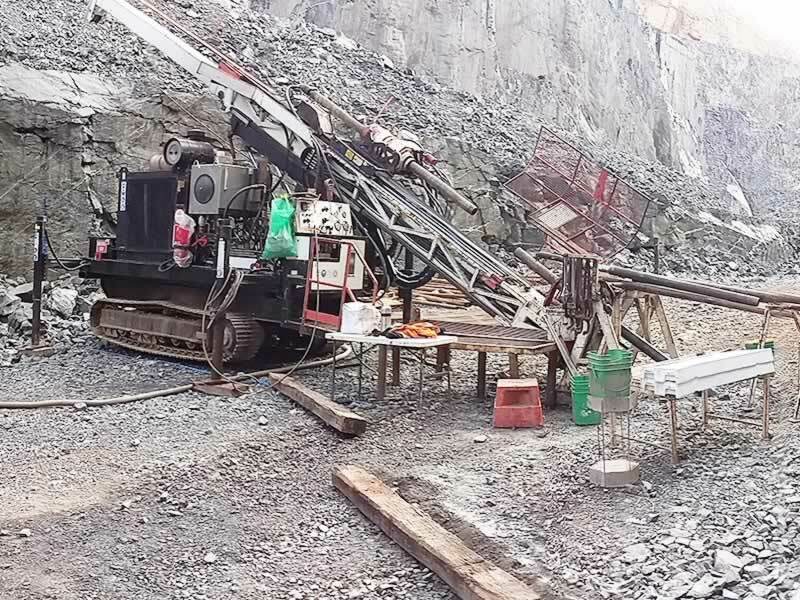 This is a perfect solution for drill testing areas that have been otherwise been rendered inaccessible by mine infrastructure or land forms. 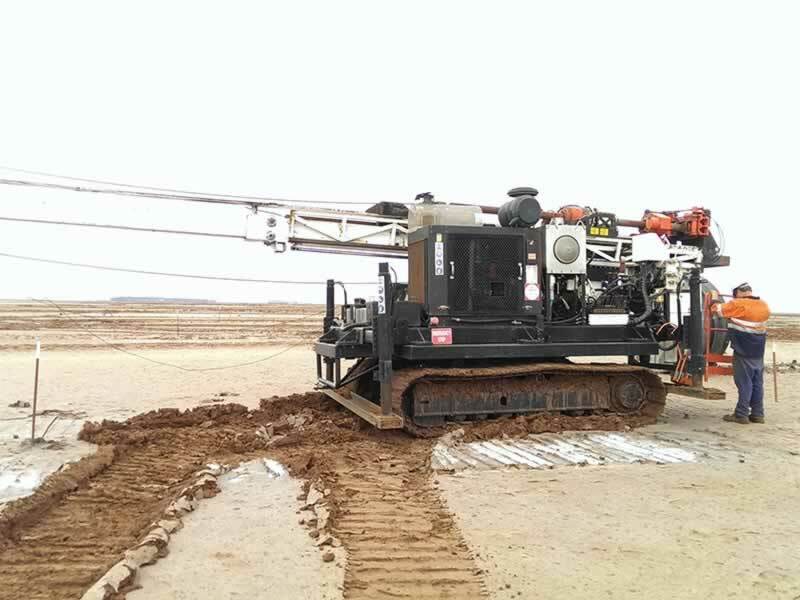 Rigs 2 and 3 have track systems wide enough to substantially reduce the ground pressure of the rigs to allow drilling on salt lakes. Rig 2 has a ground pressure of less than 2 psi, which compares favourably with all other options currently available.